Yoko looked up at his house and smiled. Everything went quickly and smoothly. Though he was tired his house was made to his specifications using his bloodline, still he could always improve. It took a little while for Yoko to settle in, having to make every bit of furniture was time consuming, but all in all needed to be done. He walked outside, his bare feet feeling the life all around him, today was the day he started his garden. He walked over to his greenhouse, it was just a wood frame so far. He had picked this spot due to the closeness of the river for irrigation and the soil was good as well. He carefully transplanted many of the flowers and herbs to the new soil Determined they would do good. Yoko continued to walk the greenhouse garden he had made. The blossoms weren't in full bloom yet, however the were larger then they should have been. Yoko could have accelerated their growth but, he decided sometimes the best way to grow anything is to let nature take care of it. Yoko's eyes grew hard remembering his own screw up, if he only had of asked instead of assuming his medication would cost ryo he would have never made the mistake of breaking into someones house. He glanced at the tattooed circles around his wrists, a constant reminder of his stupidity of his youth. "I don't have much time left, with such a late start I will have to get stronger quickly before my illness does." As if on cue he coughed a few times and a little blood came up. The medics at the hospital said if he was lucky he might would live to see his twenty fifth birthday, if not, he could be dead within the year. He smiled grimly. "Not very much to look forward too." He thought as he wiped the blood off of his cheek. "I suspect, they'd put you in a team like any other Genin." Yoko quickly turned to see a few members of the Konoha Military Police Force, his eyes narrowed. "Why are you here? I have served my time and no longer part of your system." He said coldly. "We are here to make sure you understand your position. One bad apple spoils the bunch." One of the three said before Yoko cut in. "Our point is you Will be held accountable should they start to stray from the right path." Another member said, a female this time. Yoko spoke up "I refuse to be held accountable for actions other then my own. "We will see." One of them said before disappearing as quickly as they had shown up leading Yoko to quietly rage inside. A few minutes later he emerged from his house, a cup of fresh tea in his hand. 'Im glad I had at least something to calm my nerves, I would have preferred some whiskey but I don't have any yet.' He thought idly sipping his tea. A flicker of movement caught Yoko's eye, and he peered into through the trees moving toward the river, a very deep river in the old part of the Forrest. His mind went over the possible solutions to his problem of being watched but, before he could finish he spotted what had been darting around. A little white fox not quite as big as he would expect staring him in the eyes like it had no fear. "Its ok little guy I wont hurt you, now run along, you gave me quite a scare." He said in as kind a voice as he could. The fox seemed reluctant to go but soon disappeared into the woods. 'At least the animals and plants still don't mind being around me.' He thought as he made his way back home. "Going on a nature walk~ Because I've got the day off~! ♪" Tsuru sang an improvised melody about nothing important. In fact the words of mentioned melody didn't make much sense considering that the green haired girl didn't have much to do in the fact of 'jobs.' Though she was a genin, the beginning ninja sincerely was just having a fun day walking through the woods with no clear agenda nor destination. As the lone girl went walking through the woods two older Leaf shinobi walked by her, both and crests of the Konoha Military Police force. Neither paid much attention to her except for a nod as Tsu quickly sidestepped out of their way. The small green haired girl wondered who and why those two were out there in the middle of the woods. Tsu shrugged and decided to not let it bother her, if two members of the police force were walking around it probably meant that the area was safe. Returning to her forward walking path, Tsu spotted a small animal in the distance. She stopped and squinted her eyes, the small furball also stopped and stared back her. The reddish brown fur of a fox dashed away within seconds after making eye contact, though for some reason Tsu had the urge to chase after it. Perhaps the small fox was making play, and it was of course in the young shinobi's best interest to always get as much practice on ninja skills as she could. Tsu smiled with determination and went to a tree trunk, putting one foot in front of the other she quickly ran up the tree and soon was jumping her way through the canopy and the hunt for the small fox. Though at first Tsu had lost track of the animal, she saw a rumbling in the bushes and was about to pounce down to the ground to surprise her impromptu playmate. Just as she was hanging upside down, the fox jumped out into a small clearing, stopping for a moment to look at something, a someone more like it. "Its ok little guy I wont hurt you, now run along, you gave me quite a scare." The fox turned to run back into the woods, but Tsuru let the fur ball get away and instead looked to the wonder of the voice. It belonged to a red haired man with dark green eyes, he looked to be several years older than the twelve year old but not so much that he was a full-blown adult. 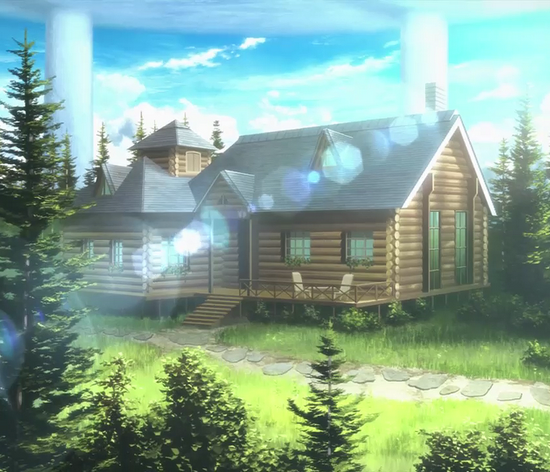 He didn't seem to notice the small girl as he turned away to head to a small cabin which Tsu saw in the clearing ahead. There was something about the man that seemed almost familiar to Tsuru, perhaps it was just a strange coincidence but the green haired girl felt like the man was part of the Senju clan. As part of the clan herself, Tsu could just tell that he was one. As to why he lived alone in this cabin in the woods so far away from town, she didn't know. Perhaps it was a similar situation to her and her certain branch of the clan, the Shokubutsusou branch of the Senju tended to keep to themselves in the Botanical Garden they ran in Konohagakure, though she didn't know quite what part of the Senju he belonged to. Tsuru figured it was just best to ask him for herself. "Ah, Hello mister!" 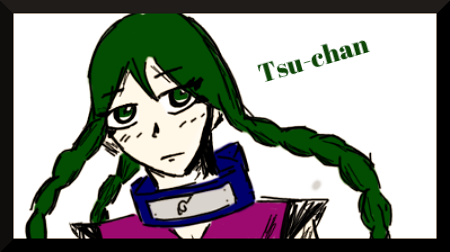 Tsu called as she stood upsidedown on a tree limb, her long green braids fell almost down to the ground. "Are you part of the Senju clan?" Tsu smiled in hopes that he indeed was and waved to him in greeting, also hoping that she hasn't surprised him too much. 'Im being followed again, its not the police this time who is it?' He thought nearing his cabin. The flowers seemed to perk up as he came closer, it could have been his imagination he couldn't tell. 'It could be a wanderer, or just someone lost in the woods. I cant afford to jump to conclusions yet.' His mind sharp, his senses keen, he was ready to fight. 'A few more steps.' He thought getting ready to spring a attack. The attack never came. "Ah, Hello mister! 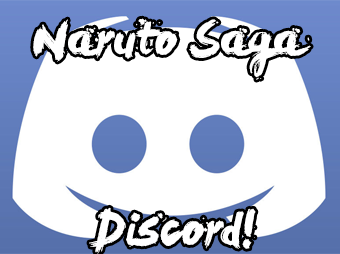 Are you part of the Senju clan?" A green haired girl called out from her place hanging on the tree. Judging from her age it was probably safe to assume she was a fellow genin. She seemed slightly familiar to him, like the feeling he had around others in the clan before his betrayal and getting kicked out. 'I might could use her for information gathering, or I could kill her outright and make it look like a accident. What to do?' Yoko pondered quickly before making up his mind. It was not in his nature to outright harm a innocent kid who had no way of knowing of the events that happened eight years before. She had done no wrong to him and in his eyes combine with her being still a child he decided to try to be peaceful with her. If anything being peaceful would possibly mean it would just be unexpected in the future. "That depends little leaf, does outcasts still count as being part of the clan?" He asked her in return. He got the little leaf idea from her hanging from the tree like a leaf. He was going to try the friendly approach and see just how the clan had changed since his leaving, to see if the Senju had redeemed themselves. At Tsu's words the young red haired man tensed and turned, as if he was expecting someone less welcoming. But as he saw that it was just a small green haired girl, he seemed to relax, though still keep his guard up slightly at the strange her. "That depends little leaf, does outcasts still count as being part of the clan?" His tone was friendly enough, he even called her a nickname, " Little Leaf" which Tsuru thought was very cute, so the girl took it as an invitation to answer back. She didn't seem to notice that the young man might have hostile intentions, but she had no reason to worry. If he was part of the Senju, like she was sure, then why would any clansman hurt another? "Outcasts? "Tsu tilted her head in confusion at the name. " That's a funny name for a part of Senju.." She added with a childish giggle, oblivious to the fact of what an 'outcast' really meant. With a swing of her feet, Tsuru jumped down to the ground from the tree branch, her long green braids trailing behind her. She stretched out her arms in the air with a short yawn. "I've never heard of them before but I don't know if that means if they're still part of the Senju or not." Tsu put her first finger on her chin in a thinking position, her dark green eyes concentrated downward as she tried to think through the apparent "Outcasts" part of the Senju. "But I also don't know why anyone would want to leave the Senju clan, I'm not part of the main Senju either... so maybe they might have left without me knowing about it. But... If they did leave, and if you are an Outcast, then you wouldn't be part of the Senju anymore. But... If they didn't leave then you're still part of the Senju! Besides, even if you weren't part of the clan anymore, I'd still consider you family! We're probably cousins or something anyway." She ended her train of thought with a smile and a wave of her hands in the air as if her line of thinking was an accomplishment of sorts. Her smile suddenly faded as Tsu realized that she hadn't even introduced herself to the red haired man and that she didn't even know his name either. It was rather impolite to never tell someone a name, though she did enjoy the little nickname she gave him. "Ah! My name is Tsuru Shokubutsusou! Of the Shokubutsusou branch of the Senju clan!" The green haired girl made sure to add that part about being from the Shokubutsusou branch, becuase perhaps this man (who may or may not have been part of this "Outcasts" branch) didn't know what the Shokubutsusou branch was. By the looks of it, he also happened to live out here, alone in a cabin relatively far away from town. For a moment Tsu felt rather lonely for the red haired man, but she also figured that since he choose to live by himself that he must also be one of those types of people who just enjoy being by themselves. "Ah! My name is Tsuru Shokubutsusou! Of the Shokubutsusou branch of the Senju clan!" She said when she realized she had not introduced herself yet. 'This little child may not know everything, I cant explain it I don't understand why im feeling this way. I want revenge but not on this kind girl. Very well only adults.' His mind had been made up. He had no vendetta againced children. A child is not corrupt as adults and on top of that she was probably not alive for his exile. "My name is Yoko, Tell me little leaf, what do you see when you look at your clan?" Asked Yoko so he could see how the clan behaved, but also if she was being mistreated he would make sure they ended in a painful way. 'I hope they are different, but if not I will deal with them personally. I want to see how they have changed.' He thought before smiling at the girl, this time with a genuine smile. The red haired man seemed surprised as Tsu talked, which wasn't unexpected since the small girl continued to speak about this Outcast branch as if they were really part of the senju (or even existed at all). At the girl's introduction of her name, he decided to give his own. "My name is Yoko, Tell me little leaf, what do you see when you look at your clan?" The man introdocued himself as Yoko, but then added a question the Tsu didn't completely understand. "Ah... Look at my clan?" Tsu tried to keep a puzzled expression off her face, though the small girl couldn't quite keep from hiding her emotions. "Well, If you mean like people, then I can't really help you cause I don't know that many Senju besides the ones in the Shokubutsusou branch. I know the Hokage's a Senju! Though I've never met him before. But since he's hokage I'm sure he must be really nice and really strong. Oh! My dad's a really strong jounin! He's smart too and knows a lot about jutsus and gardening and about things and places I've never seen before. He's away a lot though because he goes on missions all the time. Right now he's been gone for almost two weeks... But I don't worry about him because dad always comes back!" Tsuru smiled back at Yoko's smile. It was a nice expression that the red haired man wore, yet it seemed as if it was also one he did not put on very often. Well, it was going to be the small green haired girl's new mission to make sure that he would be smiling more often. Tsu decided that it would be one of the ways she would help him. And if she could, maybe get him to come to town and maybe even visit the Shokubutsusou gardens, a small plant life sanctuary that her branch of the clan watched over. "I have a little brother too." Tsu decided to go on about her family. [color:9001=/006600]His name's Ruto and he's seven years old. I don't know what is else to say about him besides he likes playing video games and dad's cooking whenever dad is home." She paused, trying to decide if she should go on about her grandparents and her uncle and aunt. Besides those folks, the Shokubutsusou branch had few others and was a remarkably small part of the Senju clan. Tsu wasn't sure however if that what was Yoko wanted to hear about. So instead the green haired girl decided to ask him for herself. "Um.... Is that what you meant by look?" Yoko couldn't help but think she was just a tat bit on the slow side. 'She is not the sharpest knife, however, she may prove to be the one most useful.' He thought comparing the girl to kitchen implements. While it was true you wanted a sharp knife, sometimes it was better to have one with a dull edge, a sharps knife edge will dull fast and become nearly useless, a duller knife will take much more time to break down. "Well, If you mean like people, then I can't really help you cause I don't know that many Senju besides the ones in the Shokubutsusou branch. I know the Hokage's a Senju! Though I've never met him before. But since he's hokage I'm sure he must be really nice and really strong. Oh! My dad's a really strong jounin! He's smart too and knows a lot about jutsus and gardening and about things and places I've never seen before. He's away a lot though because he goes on missions all the time. Right now he's been gone for almost two weeks... But I don't worry about him because dad always comes back!" 'A child's point of view, most think it doesn't matter, however, I know better. Children call it as they see it, they don't hold back what they think and are normally very blunt.' He mused digesting the information she had provided. He let out a few coughs, before his breathing returned to normal. It was hard knowing your days where numbered before you even had a chance to enjoy life. A serous look appeared on his face. The little girl had awoken something in him and he had no idea what it was yet. A forlorn look made its way to his face in the form of a sad smile. "Yes little leaf, im glad I asked." He said. He remembered the feeling of having a family who cared and it pulled at his heart. He had made his decision no need to make others suffer the pain of betrayal he had felt. At the end of Tsu's words, the red haired Senju let out a few small coughs. Her brow furrowed in concern, wondering if Yoko was sick. Well, maybe she could help! She was a medical ninja, and though she didn't know much medical Ninjutsu as of yet, she still wanted to help a member of her family any way she could. When he stopped counting, for some reason he appeared sad even though he returned a smile to her. "Yes little leaf, im glad I asked." A sad smile? What was wrong? Even though he said he was glad, he sure didn't look happy. Maybe he often just got lonely out here in the woods all by himself. But the smile looked like a different kind of sad, a sad that the girl herself didn't know or had experienced before. And while she didn't know, she didn't quite think about why she didn't but instead a way to take away that sad smile. She had made it her mission to make him smile, not this kind of forlorn look, but a truly happy grin. She took a few steps forward and reached out her hand to Yoko's wrist. For the first time, she noticed some strange circles on the red hair man's wrist and for a moment, let herself wonder what and why there there. But soon she turned to Yoko, a determined, yet troubled look on her face. "Oniisan... Why are you sad? You said you were glad but you aren't! I don't want you to be unhappy, it's never fun to be sad, I know." With the last words of 'I know' her green eyes went downcast. Tsuru had definitely known what sadness felt like, the kind that one felt when losing someone very close to you, and at such a young age. Despite her naiviety, she could always tell when someone was feeling that something she had felt before, it was a terrible feeling and Tsuru wanted to make sure that no one she knew would have to experience that pain again. Yoko eyed the girl cautiously as she took a few steps forward to him. 'Whats she doing?! Is she attacking? wait, no I don't think this one is one to attack someone she just meet. Besides She has been nothing but friendly so far. Ill wait to see what happens.' He did not have to wait long, she neared reaching out with her small hands and gently took hold of his wrists. He flinched, not intentionally, but because it had been years since anyone had shown him any comforting gesture. The only contact he had was someone trying to beat his face into the ground. 'What the hell is with this girl? doesn't she know what those circles mean?' He thought, for some reason glad she did not bring the mistakes of the past up. He already had enough people judging him for that already. "Oniisan... Why are you sad? You said you were glad but you aren't! I don't want you to be unhappy, it's never fun to be sad, I know." She was right, on so many levels she was right and he knew it. He sighed before taking a deep breath. "I meant glad for you little leaf, you are a kind girl and I hope you stay that way. He paused a minute to let it sink in some. "Just knowing their are people like you makes me happy. I have made many mistakes in my life, some im still paying for." Yoko said as he put his hand on her head. His mind was in turmoil. He was supposed to hate the rest of his clan and yet here a little girl was getting under his skin. 'Whats wrong with me?' He asked himself in his mind. For some reason he was starting to relax. He put on another smile, this time it was real. Not for himself but for her. "I will be ok little leaf I promise, however, you have to make me a promise. Stay golden, never loose the kindness you have. I may have made some unfortunate decisions, however that does not mean you have to suffer for me." He told her fully intent on keeping his promise. The red haired Senju took a deep breath before he answered his smaller green haired counterpart. "I meant glad for you little leaf, you are a kind girl and I hope you stay that way." He paused and Tsu just tilted her head, but still smiled up to him as he put his hand on her head. "Just knowing their are people like you makes me happy. I have made many mistakes in my life, some im still paying for." At those words Tsuru blinked wonder at their meaning. Mistakes were always errors that everyone felt bad about, but mistakes that never seem to go away? They must have been pretty bad mess ups. The girl herself was never the perfect type, but when she did have her mistakes, she always tried to make up for them. Maybe Yoko was the same, and maybe it was just a really big mistake he made. Eventually the older boy seemed to soften, a true smile crept onto his face. "I will be ok little leaf I promise, however, you have to make me a promise. Stay golden, never loose the kindness you have. I may have made some unfortunate decisions, however that does not mean you have to suffer for me." Though still unsure as to what kind of unfortunate even that seemed to plague his mind, Tsuru beamed back with two thumbs up. "I promise!" Wither her confirmation, she put her hands down swinging them to her sides. "But uh... I know too that if you make mistakes or bad choices, then it helps to have other people help you. I remember one time I left the window open to the green house at home and the very next day it stormed and tons of water and wind knocked down al the plants growing inside! I felt really bad 'cause they were some crossbreeds that mom was working on that got all destroyed. And if was all my fault and i just felt really bad! But. . . even when she was sad that her flowers got all messed up, she, Dad, and me all worked together to fix up the greenhouse! And we even made new crossbreeds!" Tsu nodded her head as she recalled her memory. "I guess I just wanna say that if you feel bad over something you did wrong, then I can help you! We're family so that's what we do." The sun shone down brightly on the optimistic girl with the hair and eyes the color of leaves. Suddenly her dialogue was interrupted by the sound of a grumbling tummy. "Oh... er, maybe you can help me get some food?" A tinge of red came to her cheeks, slightly embarrassed. 'Well at least she is positive...' He thought as she gave her promise with a thumbs up. He scratched his head as she continued to talk. "But uh... I know too that if you make mistakes or bad choices, then it helps to have other people help you. I remember one time I left the window open to the green house at home and the very next day it stormed and tons of water and wind knocked down al the plants growing inside! I felt really bad 'cause they were some crossbreeds that mom was working on that got all destroyed. And if was all my fault and i just felt really bad! But. . . even when she was sad that her flowers got all messed up, she, Dad, and me all worked together to fix up the greenhouse! And we even made new crossbreeds!" She paused before getting to her other point. "I guess I just wanna say that if you feel bad over something you did wrong, then I can help you! We're family so that's what we do." 'Lucky you... For all I know my parents are dead, and if not then I will remedy the situation.' Yoko thought his mind drifting to darkness again. What could he do? He had no formal training so to speak of and what he did know was information over eight years old. 'Yes indeed much planning to do.' He glanced at his wrists then back to the green haired konichi. 'Family huh? Maybe I dont know all there is to know about our clans dynamics..' He pondered before hearing a growl from her stomach as a blush appeared on her face. "Oh... er, maybe you can help me get some food?" "Very well, I know of a decent place to eat." He told her, in truth he was not hungry but, he could use a few cups of coffee. The reason he stayed mainly out of town on his off days was just to avoid trouble. The elite looked down on him the same as mostly everyone who knew his past. He had picked the coffee shop because around this time of day most were not looking for coffee and it would be less crowded. "Are you ready to go?" He asked as he locked his cabin up before they departed. "Very well, I know of a decent place to eat." Yoko responded to the girl's inquisition for some food. Tsuru smiled in thanks thought wondered where exactly this place was as the pair of Senju were currently in the woods. Though the village wasn't much of a walk aways, it was still a walk. The older male locked his cabin before they departed. The girl thought the little wooden house to be very quaint, if not little bit lonesome, surrounded by the greenery. It reminded her of him. It seemed to prefer being alone, though every now and then it was nice to have visitors to simply appreciate it. "Are you ready to go?" He asked her. "Yep!" The green haired girl skipped ahead a few steps, her long green braids swinging at her sides. The sun was at medium height in the sky, casting longer shadows from the canopy of leaves in the forest surrounding them. The afternoon was turning into early evening and both senju were slowly making their way to whatever restaurant the elder had chosen to satisfy the younger's request. Tsuru began humming a tune of no particular melody. She was grinning and hopping along the forest path just happy to be surrounded by her element, the forest was made of wooden trees after all and the young Senju couldn't feel more at home. "Ah, oniisan, you're really lucky to live out here in the woods. It's so woodsy! I bet you picked it 'cause you're a Senju huh? Hm, I really like my house though. I live at the Konohagakure Botanical Gardens also known simply as the Shokubutsusou Gardens! My branch of the Senju clan, the Shokubutsusou, maintain it. That's my brother and me and my uncle and my aunt and my grandpa and my grandma.... And my dad whenever he's home from a mission. He's not at home right now 'cause he's on mission. So it's just me and everyone else." The girl started some small chatter with Yoko, she was just saying what was on her mind and where her train of thought was taking her. She walked happily alongside him as they headed together to whatever place of his choosing.